A healthy handful of raw or roasted unsalted nuts is good for your weight and your heart, and helps ward off other chronic diseases. Nuts, including peanuts, are nutrition powerhouses. Eating a handful of nuts (around 30g) five or more times a week can help maintain a healthy weight and reduce your risk of heart disease by 27 per cent, or by 31% if peanuts are consumed. Including a healthy handful of nuts can also improve your blood sugar control and may even lower your risk of developing type 2 diabetes. There are also studies that show eating nuts may be associated with a lower risk of some cancers, including colorectal cancer. Did you know?Peanuts are actually a legume, like lentils and chickpeas. They’re generally grouped with tree nuts (such as almonds, brazil nuts, cashews, hazelnuts, macadamias, pecans, pistachios or walnuts) due to their nutritional similarities. So what makes nuts healthy? Monounsaturated, polyunsaturated and omega-3 fats - good fats that keep the cardiovascular system healthy. 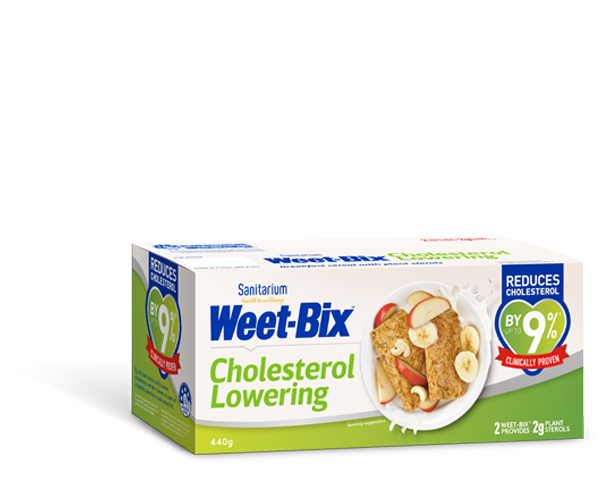 Fibre - important for bowel health and assists with blood sugar control and lowering cholesterol levels. Antioxidants and phytochemicals - such as vitamin E - are known to boost immunity and may protect against chronic diseases like heart disease. Folate - important during times of rapid growth like adolescence and pregnancy, and may offer added protection for the heart. Arginine - an amino acid that helps to keep blood vessels relaxed. Copper, magnesium, zinc and selenium - minerals that have many roles in the body and are vital for good health. How many nuts can I have? You can enjoy a handful of raw or roasted unsalted nuts (approximately 30g or ¼ cup) each day as part of a balanced diet – even when you are trying to lose weight. small handful of mixed nuts. Nuts are rich in good fats that nourish the body and keep you fuller for longer, which makes them great to include as part of a weight loss diet. In fact, many studies show that people who eat nuts regularly better manage their weight and have a lower body mass index (BMI) than those who don’t. Did you know? Not all of the energy (kilojoules) in nuts is actually absorbed by the body. After chewing and swallowing, many of the nut’s cells remain intact and travel through your gut and out the other end. Nuts make a great addition to breakfast, lunch and dinner as well as an easy and nutritious snack. Aim for a handful a day and try our top 5 tips for some inspiration. Portion nuts into a container or zip-lock bag and pop them into your handbag to take to work. Sprinkle nuts over your meals. They’re great with breakfast cereal, in a stir-fry or over a salad. Try a home-made satay sauce on vegetables. Use baked nuts as a delicious, crunchy topping on ice-cream for dessert. Enjoy natural peanut butter or other nut paste on brown grainy bread as a mid-morning snack. If you’d like more information about the health benefits of nuts, visit the Nuts for Life website. Kris-Etherton PM, Hu FB, Ros E, et al. The role of tree nuts and peanuts in the prevention of coronary heart disease: multiple potential mechanisms. J Nut 2008;138(9):1746S-1751S. Jaceldo-Siegl K, Haddad E, Oda K, Fraser GE, et al. Tree nuts are inversely associated with metabolic syndrome and obesity: The Adventist Health Study-2. PLoS One 2014;9(1):e85133. Wu L, Wang Z, Zhu J, et al. Nut consumption and risk of cancer and type 2 diabetes: systematic review and meta-analysis. Nutr Rev 2015;73(7):409-425. Wang W, Yang M, Kenfield SA, Hu FB, et al. Nut consumption and prostate cancer risk and mortality. Brit J Cancer 2016. Kendall CWC, Josse AR, Esfahani A and Jenkins DJA. Nuts, metabolic syndrome and diabetes. Brit J Nut 2010;104:465-473. Viguiliouk E, Kendall CWC, Mejia SB, et al. Effect of tree nuts on glycemic control in diabetes: a systematic review and meta-analysis of randomized controlled dietary trials. PLoS ONE 2014;9(7):e103376. Grundy MML, Grassby, T, Mandalari G, et al. Effect of mastication on lipid bioaccessibility of almonds in a randomised human study and its implications for digestion kinetics, metabolisable energy, and postprandial lipemia. Am J Clin Nutr 2015;101(1):25-33. Jackson CL, Hu FB. Long-term associations of nut consumption with body weight and obesity. Am J Clin Nut 2014;100(suppl):408S-411S. ​Aune D, Keum N, Giovannucci E, Fadnes LT, Boffetta P, et al. Nut consumption and risk of cardiovascular disease, total cancer, all-cause and cause-specific mortality: a systematic review and dose-response meta-analysis of prospective studies. BMC Medicine 2016:14(1):207-220.